The Colosseum was built by Emperor Vespasian, founder of the Flavian dynasty, for Titus, his successor. Colosseum is an elliptical building measuring 189 meters long and 156 meters wide with a base area of 24,000 m² with a height of more than 48 meter. 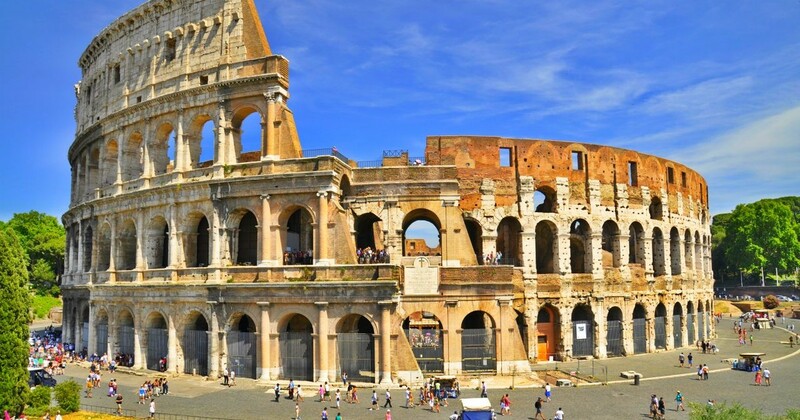 The Colosseum has over 80 entrances and can accommodate about 50,000 spectators. The Colosseum only took 10 years to build starting in 70 AD and was completed in 80 AD using over 60,000 Jewish slaves. The Fighting Killed Off Whole Species The sheer quantity of slaughter in the Colosseum saw the number of lions, jaguars, and tigers plummet across the globe. According to some, Roman hunting absolutely “devastated the wildlife of North Africa and the entire Mediterranean region,” wiping some species of animal off the map entirely. After one particularly brutal set of games in which 9,000 animals were slaughtered, the hippo disappeared from the river Nile. Creatures like the North African elephant, which was also commonly used as a war elephant during the time, were wiped of the face of the Earth completely. The area beneath the Colosseum was called the Hypogeum (meaning underground). The hypogeum consisted of two-level subterranean network of tunnels and 32 animal pens. It had 80 vertical shafts which provided instant access to the arena for animals and scenery. Rome´s most popular monument was built for three reasons. As a gift to the Roman Citizens from the Flavian Dynasty to increase their popularity, to stage various forms of entertainment, and to showcase Roman engineering techniques to the world. The Colosseum was not designed by a single prominent designer/architect as it would be if built today. During medieval times it was said to have been designed by the ancient Roman poet Virgil. Now we know that Virgil died well before the Colosseum was conceived. Colosseum was built near the giant statue of Colossus which was part of the Nero’s Park. The current name was derived from the statue of Colossus.